In this second chapter of an examination of the future models of Geely divisions, the focus turns to Lynk & Co. The start-up brand is doing well in China, its sole market. Although Geely is yet to reveal this, there are now additional plans to extend the brand from a four-model line-up by using the Volvo XC60 and XC90 as the basis for two larger SUVs. It may well have a name which looks odd to some and sounds a lot like how Lincoln can be pronounced, yet neither of these possible hindrances has held back Lynk & Co. Data for June are yet to be announced as this is written, so numbers for May are the most recently available: Lynk outsold Volvo in China, and ended the month as the country's 37th most popular brand. This is a big achievement considering the first car wasn't even available until just over half a year ago. Year to date, 37,005 Lynk & Co vehicles have been delivered to customers in China, and the total for May was 9,234, compared to 8,939 (and 39,843) Volvos. All of these cars are the 01. Geely has just released the 02 for sale in China and it is known that an 03 and an 04 will be added within the next 12 months. Let's take a look at all four and then, what comes next: the 05 and 06 which will be larger and use a different platform. In China, the new brand is positioned between Geely and Volvo. In the USA and Europe, where cars are due to go on sale in 2019, it will be a sub-Volvo make in the small number of cities where Lynk & Co vehicles will be available. Sales for the 01 in December, the first full month, totalled, 6,012 vehicles. This compact SUV keeps gathering strength and will likely end 2018 with deliveries approaching 100,000 units. It might be less though, should the arrival of the 02, a hatchback which is of a similar size, be equally well received. However, the 02 may have no impact on the 01 as Geely gives that car additional engines, including a PHEV powertrain. The 01 is Honda CR-V sized and shares its Compact Modular Architecture (CMA) with the Volvo XC40. 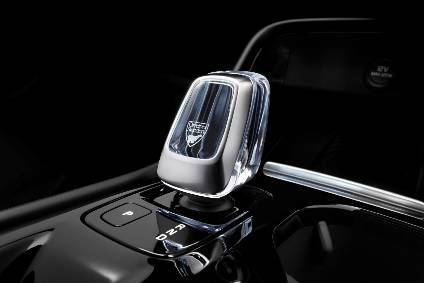 There are three transmissions: a six-speed manual, a six-speed automatic or a seven-speed DCT. As for engines, there are also three choices: 1.5-litre petrol three-cylinder turbo, 1.5-litre three-cylinder turbo plus one electric motor plug-in hybrid, or 2.0-litre four-cylinder petrol turbo. Only the last of these was initially available: deliveries of the three-cylinder cars did not start until recently. The PHEV derivative was not revealed until the Beijing motor show in April. Also at AutoChina 2018, it was announced that production of the first Lynk & Co 01 PHEV for Europe will begin in 2019 at Volvo Cars' Ghent factory in Belgium. 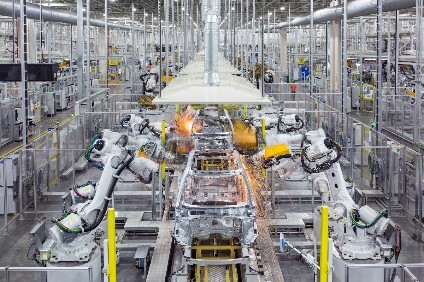 In China, all CMA-based Lynk models are or will be manufactured at Zhejiang Geely Holdings' Luqiao plant. 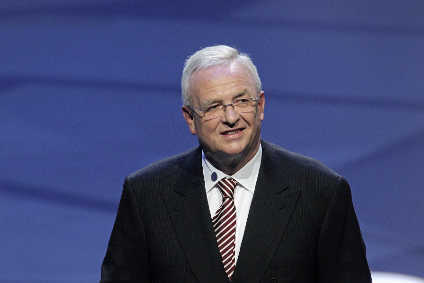 This factory, which is operated by Volvo Cars, will also make the XC40 as well as other, C segment/Compact Volvos. The 01 and other Lynk models were to be sold in China both via the internet in partnership with Alibaba, and through dealerships. Web sales in North America and Europe would be via a JV with Microsoft. Cars would have free servicing, road-side assistance and traffic data and this deal is for the life of the vehicle. All of this was stated at the brand's official pre-launch event. However, just over a year later, Lynk said nothing about internet sales and Alibaba when launching the 01, leading to speculation that these ideas have been either shelved or dumped. In the US, Volvo dealerships may be the service points for Lynk vehicles. The company says it will offer direct sales over the internet and the same fixed pricing at its company owned dealers. There will be option packages instead of individual options and there will not be model year changes in the US. Three other CMA-based models are planned: the just launched hatchback (02, project code: CH11), a sedan (03: CS11), and a crossover (04: CC11). All are or will be manufactured in China and some will also be built in Belgium. 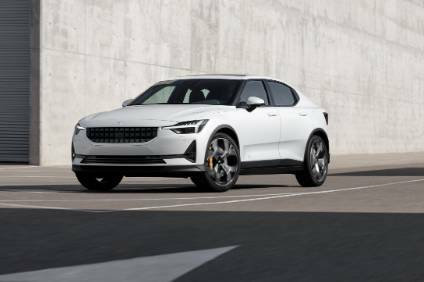 Alain Visser, Lynk & Co's senior vice president of marketing and sales, has told the media on several occasions that he sees around 500,000 sales of the brand's vehicles as soon as 2020. China is expected to take 55 per cent of that volume, with the remainder split fairly evenly between Europe and the USA. The 01, like other Lynk models, should be in production for seven-eight years, which means a facelift is due out in mid to late 2021 and a replacement model in 2024. That model will use an updated version of CMA. There could well be an EV variant of the existing 01 before then and one will certainly be part of the second generation line-up. The 02 was revealed to the media in March. This event was also in a European city; this time the venue was Amsterdam. It then premiered in China at the Beijing motor show a few weeks later. Production of this five-door 'sport crossover SUV' as it maker calls it, commenced in April. San Francisco will be the test city for the brand in North America but Geely has not said where cars for the USA will be built. It's now known that the 02 will also be manufactured at Volvo Cars' Ghent plant but not until 2020. The 01 might also be made there. European sales outlets are planned for Amsterdam, Barcelona, Berlin, Brussels and London. Other regional cities will be served by temporary shops. The 03 will be a sedan but at the moment, there are no official details of this car. The outline was seen in the form of a concept at April 2017's Auto Shanghai. It should go into production towards the end of this year. That would mean a facelift in mid-2022 and a potential successor in the fourth quarter of 2025. As for the 04, that won't be in dealerships until this time next year or possibly later. It is expected to be a crossover, based on the 02 five-door hatchback. If it reaches the USA, the 04 would be new for the 2020 model year. Insiders have recently begun to mention two SUVs, tentatively called 05 and 06. Each will use SPA instead of CMA, which also means they will be manufactured in different locations to other Lynk models. It also opens up the possibility that Volvo will make at least one of these models in the USA. 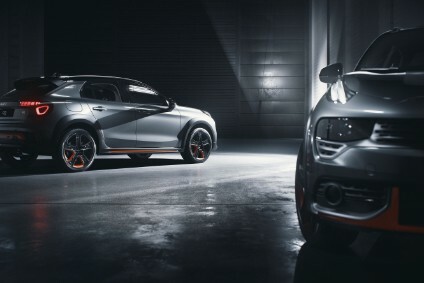 The first of the two SPA models will not be available until 2020 and that vehicle, the 05, should be as closely related to the Volvo XC60 as today's Lynk 01 is to the XC40: i.e. the same size and virtually identical powertrains but a different body and interior. The 06 is due to come to market in 2021, which is also when today's XC90 is due to go out of production. It is not yet known which plant in China will build the 06. It may be either Daqing or Chengdu. The other question is whether or not the 06 will have an architecture which is as sophisticated as that of the third generation XC90. The Volvo is being developed around an evolution of SPA, tentatively called SPA 2. The next brands in the Geely series will be Volvo and Polestar. After that, the series concludes with a look at Lotus and Proton. More detail on the past, current and forthcoming models for every division of Groupe PSA can be found in PLDB, the future vehicles database which is part of QUBE.